ESPN+ is the farm team to ESPN TV's major league. Is it worth your $5 per month? The new service, dubbed ESPN+, debuts Thursday. The company gave CNNMoney a sneak peak last week — and there's a lot that it brings to the table. This is not the Netflix (NFLX) of the sporting world. You will still need a cable subscription to watch all the biggest NFL, NBA and college games featured on traditional ESPN networks. 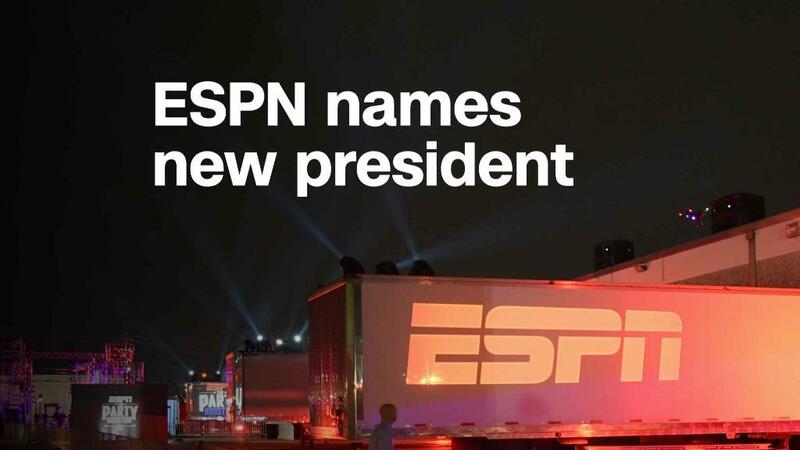 The Disney (DIS)-owned ESPN knows this. Pitaro made it pretty clear that he didn't expect customers to treat the new service as a standalone, and described it as "complementary and additive to what you've been getting." Pitaro added that ESPN+ wasn't designed to compete with distributors like Comcast (CMCSA), AT&T (T) and Dish Network's (DISH) Sling TV that offer cable bundles. All of those companies sell packages that include ESPN's TV channels. If you're the kind of person who wants to binge watch every episode of "30 for 30" after the Columbia Lions stomp their sixth opponent in a row, maybe there's some value here.